The Beatles: Rock Band is a music video game developed by Harmonix Music Systems, published by MTV Games and distributed by Electronic Arts. It is the third major console release in the Rock Band music video game series and, like other games in the series, it allows players to simulate the playing of rock music by using controllers shaped like musical instruments. 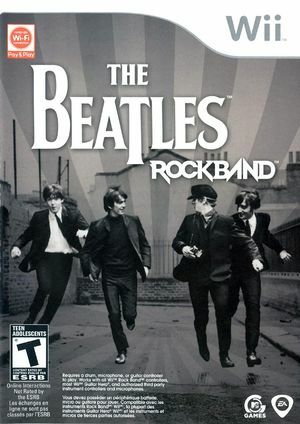 The game's soundtrack consists of 45 songs by popular British rock group The Beatles and features virtual depictions of the band members performing the songs. Additional songs and albums by The Beatles were made available for the game as downloadable content. The graph below charts the compatibility with The Beatles: Rock Band since Dolphin's 2.0 release, listing revisions only where a compatibility change occurred. present. Audio delay makes comfortable play impossible on .